MI5's Secret Interrogation Centre, After the Battle, volume 74, Battle of Britain Prints International Ltd., 1991, pages 50-53. 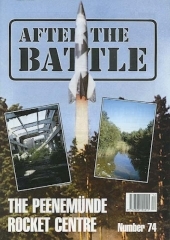 This issue of After the Battle Magazine contains an article on MI5's Secret Interrogation Centre, also known as: Latchmere House, Camp 020, Ham Common or simply Ham. The article gives a brief history of the centre, how it came to be and a few of the stories that have continued to swirl about it. Touching on the issue of interrogation methods, the article does acknowledge that prisoners were often treated rather harshly, left to stew in their cells for a few hours, fed inedible meals and threatened with execution. Much of the article seems to be based on the testimony of Double Agent TATE (Wulf Schmidt later known as Harry Williamson) and Colonel Thomas Argyll Robertson (Head of MI5's Double-Cross system). The article is fascinating in that it includes photographs from 1991 of Wulf Schmidt and Thomas Robertson, in conversation with author Nigel West. There are a few tidbits of information that may not have stood the test of time. The article notes that Lt. Col. R.W.G. Stephens was half-German. There is genealogical evidence that indicates that both of his parents were British. In actual fact, Lt. Col. William Edward Hinchley-Cooke was half-German. 4 out of 5 - Relatively accurate, although some bits of information may not be accurate.